Taipei, Taiwan – September 19, 2012 –The contemporary black-and-white theme is one of the modern representations to carry out a sleek, elegant and organized sensation in a design. Thermaltake, being the industry pioneer brand in PC chassis, power supply and thermal solution, presents the new Soprano by complying with contemporary design essences. Unlike any other recent PC chassis Thermaltake has introduced, the new Soprano is a simple and elegant mid-tower that seeks to blend into designers’ lavish furnishing with the aid on surpassing the intriguing modern lifestyle. Thermaltake the new Soprano is a conventional PC chassis with a contemporary flair, it materialized in two forms, a stark contrast of white exterior against black interior or a full black exterior and interior, both in the company of a 28mm thick aluminum front panel with elegant streamline design to convey a crisp and clean appearance. Its minimal furnishings, lightings and brushed metal accents enhance the visual amenity for a sleek and professional office or home environment. 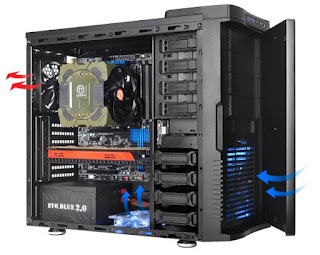 Thermaltake new Soprano has a professional build; it has the invisible top-mounted HDD docking station and internal USB 3.0 ports for a refined data management. 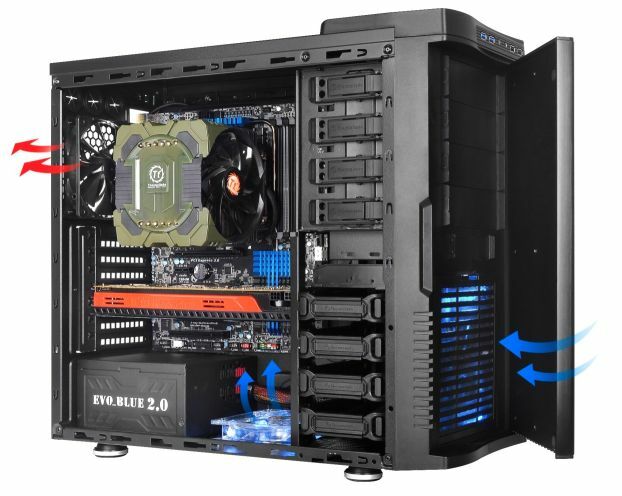 Plus, an adequate space to house up to four optic drive devices, a multi card reader, five HDDs/SSDs, a ATX motherboard, a high-end CPU air cooler or liquid cooler with large radiator, and VGA cards as long as 315mm to maneuver some of the latest design and editing software. Further in details, there are four rubber grommeted cable management holes with convenient cable management space and two side panel sound-damping foams for an absolute professional environment. The new Soporano is new simplicity dilemma and the minimalist of Thermaltake mid-tower which will blend into designers’ lavish furnishing with the aid on surpassing the intriguing modern lifestyle.